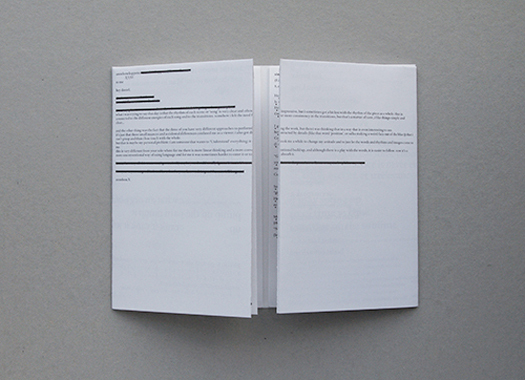 Throughout the theatre season 2012-2013, Daniel Linehan has been working on the composition of a book based on his artistic processes. 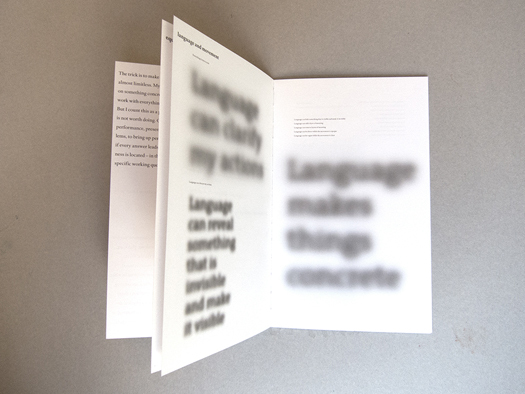 He has compiled writings that he makes in rehearsal, reflections about other artwork that he sees, quotations and images that he finds in his research, concepts for imaginary performances, and exchanges with other artists. 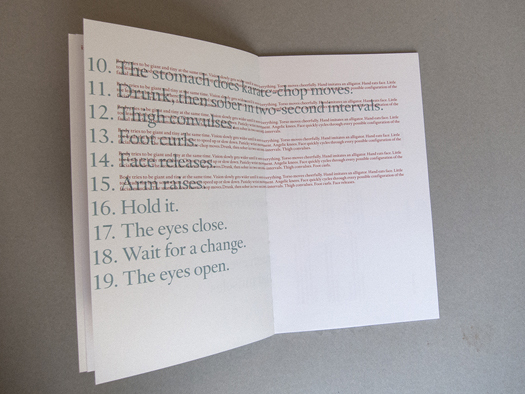 He edits the book and arranges the writings according to seven themes, treating the composition of the book as he would treat the composition of a dance; thinking about the reader’s experience over time, thinking about the flow of ideas and the juxtaposition of contrasting ideas placed next to each other. 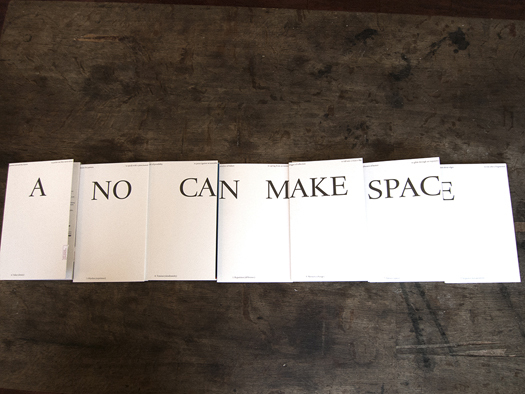 The title of the book, A No Can Make Space, refers to Daniel Linehan’s way of starting from restrictions. 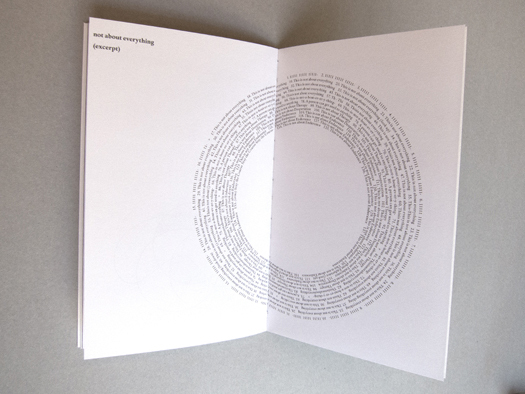 He sets off with a certain system, a structure that involves limitations, to subsequently discover the infinite options that are hidden within it. 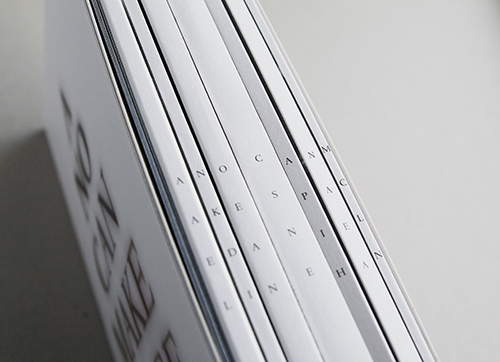 Linehan makes A No Can Make Space in close collaboration with Gerard Leysen from the Antwerp based design agency Afreux. 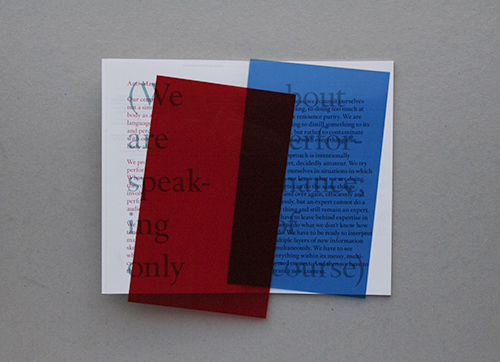 The result promises to become a work of art in its own. A piece of craftmanship. 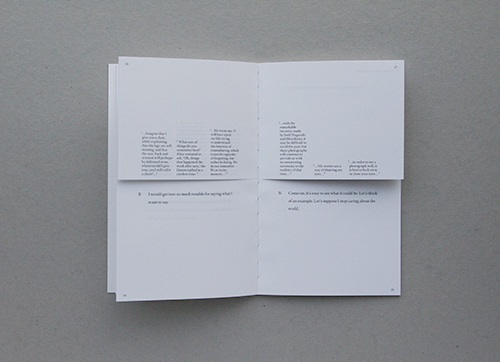 A must for dancer lovers and bibliophiles. 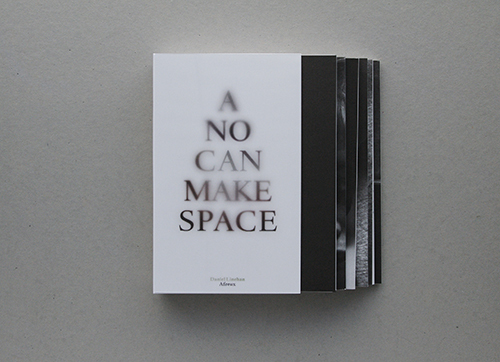 A no can make space is in a limited edition of 260 copies and distributed directly through the partners, as well as specialised bookstores internationally. 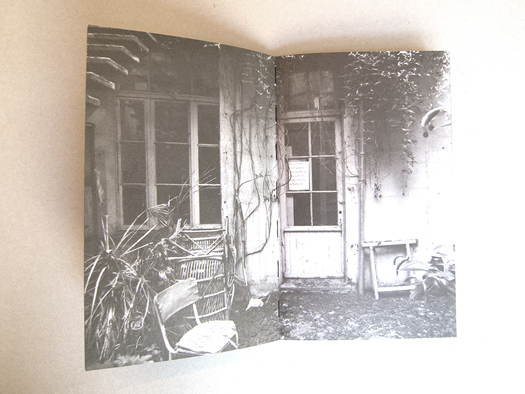 Twenty copies appear as a hors série, roman numbered, artist edition, exclusively available at Gallery Coullaud & Koulinsky in Paris.